Hooray for our much needed rain, even if it does put a buzz-kill on any planned birding adventures this weekend. 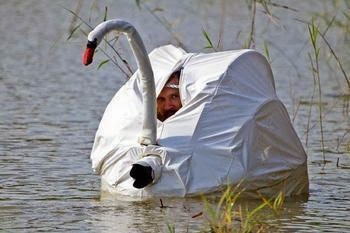 Unless of course you have a floating waterproof bird blind as shown below. many of us know - Jeff S. - is that you in there??? So what is a birder to do in such soggy weather? 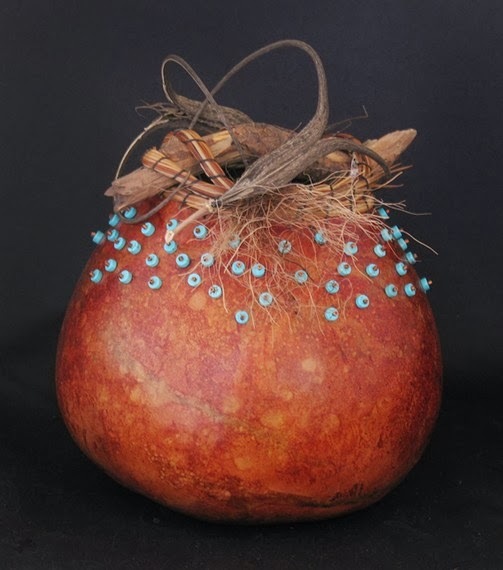 Head on over to Arizona Audubon's "Gifts From Nature" where you can shop for the holidays while supporting the environment! 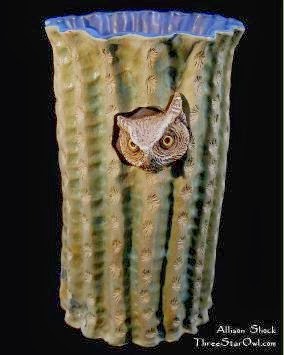 Gifts from Nature is a sale of unique nature-inspired arts and crafts by Arizona artists, including jewelry, wearable art, ceramics, home decor, garden enhancements, and unexpected discoveries! 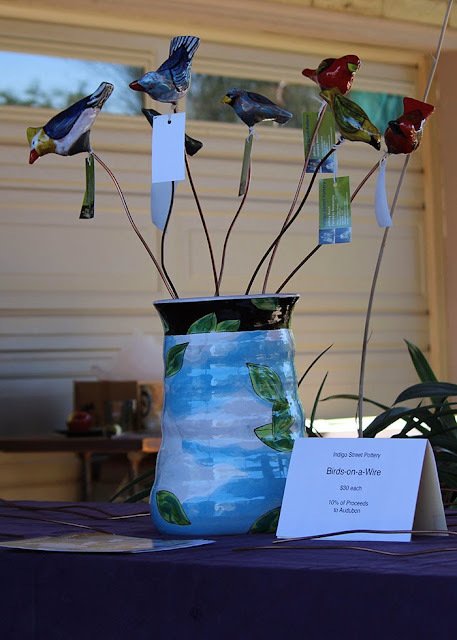 See uber-cool clay creations by Allison Shock of Three Star Owl, and Farraday Newsome of Birds on a Wire. Also, my favorite gourd artist, Nora Graf of Mesquite Gourds, will be selling her awesome nature and bird themed gourds, and gourd Christmas ornaments. If the rain stops, you can always head out on one of the trails leading away from the Audubon Center and explore the restored riparian habitat along the Salt River. There are over 5 miles of paved and dirt trails, almost all are wheelchair friendly. Over 200 bird species have been spotted in the varied habitats along the Rio Salado Habitat Restoration Area. Habitats include Sonoran desert scrub, wetland ponds, mesquite bosque, and cottonwood/willow forest. Also, bird walks are held here each Saturday starting at 8am, led by experienced birder and naturalist, Joe Willy. I like the Birder hidding inside the giant gagly goose. 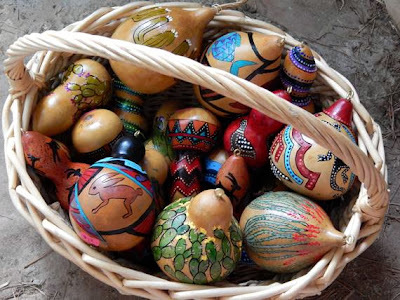 The picture of all the artifacts look so beautiful, Keep up the remarkable job.